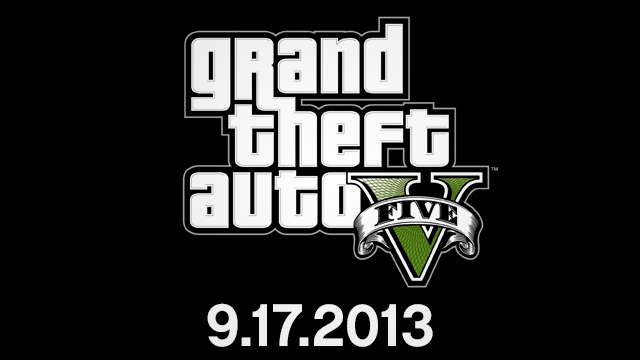 Dr Jengo's World: GTA V postponed to Sep 17 2013! Saw this late last night..
My first reaction was "Damn! That's a long wait.. I'm not going to have any games to play after May! Then after it sank in, it was a blessing in disguise. I'm planning to get God of War Ascension, Army of Two Devil's Cartel and Dead Island Riptide in the coming few months.. These games should pretty much fill my time.. and with all of them having Multiplayer in some form or another, I would like to spend some time with them. Besides, I do have a small pile of backlog games that I have yet to touch plus I'm still not done with Max Payne 3 in any way.. These games should be more than enough till September and I'm almost forgetting my wish of playing through GTA IV and the Episodes again before GTA V is out..
Long wait? More like September is too soon! But of course, I would still love to get on GTA V asap! So how does the delay suit you guys? Do comment below! Till next time, Chiku Chiku Enjoy!